Working with Brittany was such a joy. 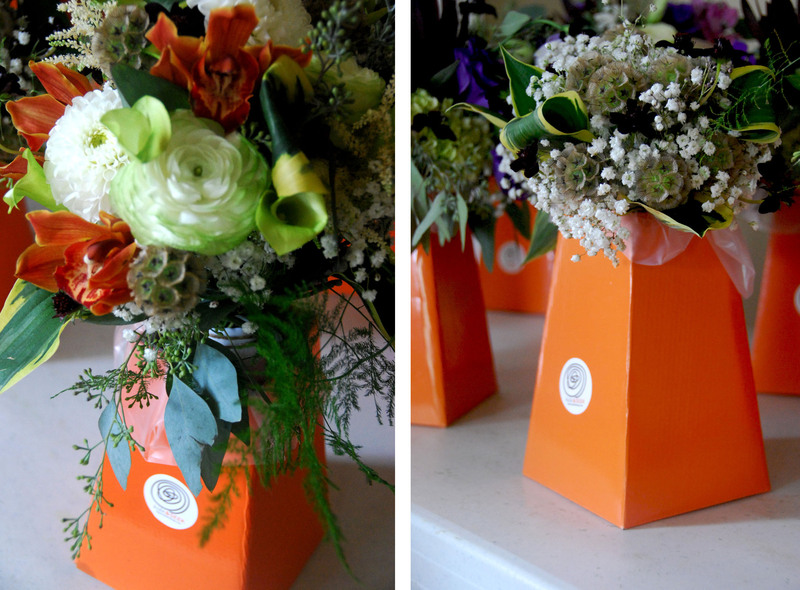 When she told me she loved greenery and unusual flowers I knew designing was going to be fun! 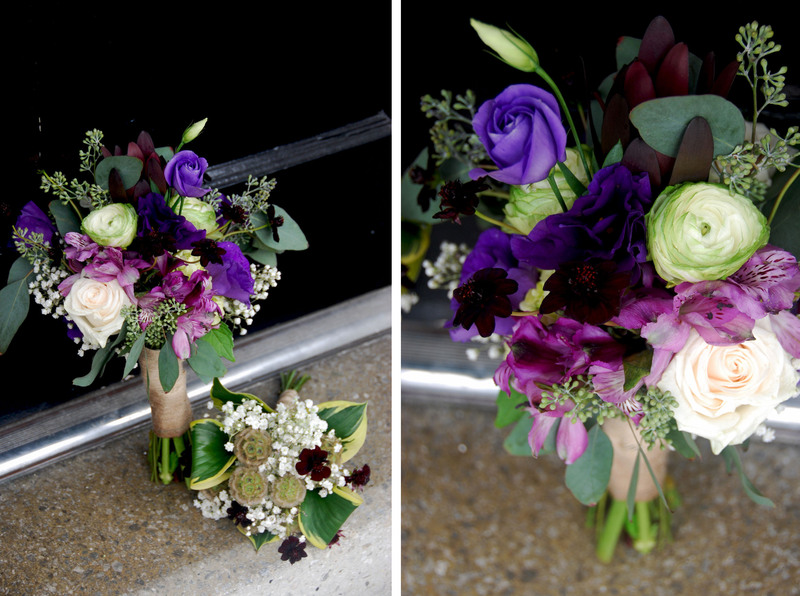 She was planning somewhat of a rustic / natural wedding, so we introduced a variety of accent foliage, green flowers, browns and deep, saturated purples. 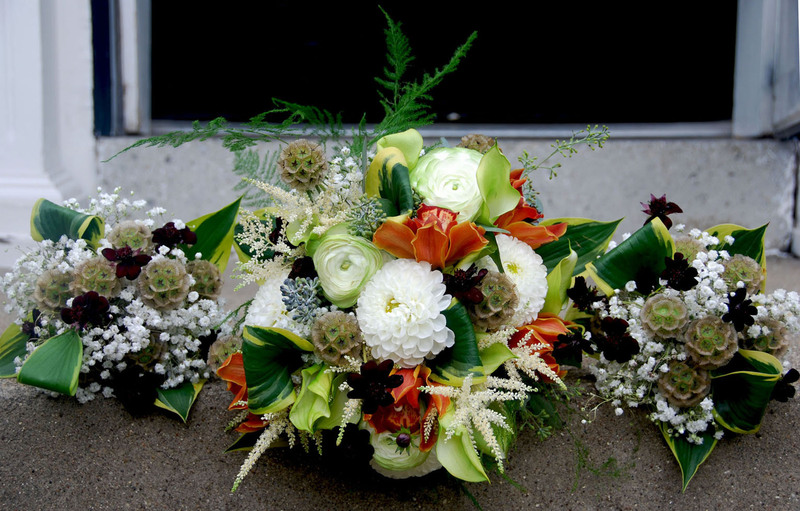 Her bouquet was filled with green ranunculus, green callas, all sorts of textured seeds and finished with white astilbe and ball zinnias. 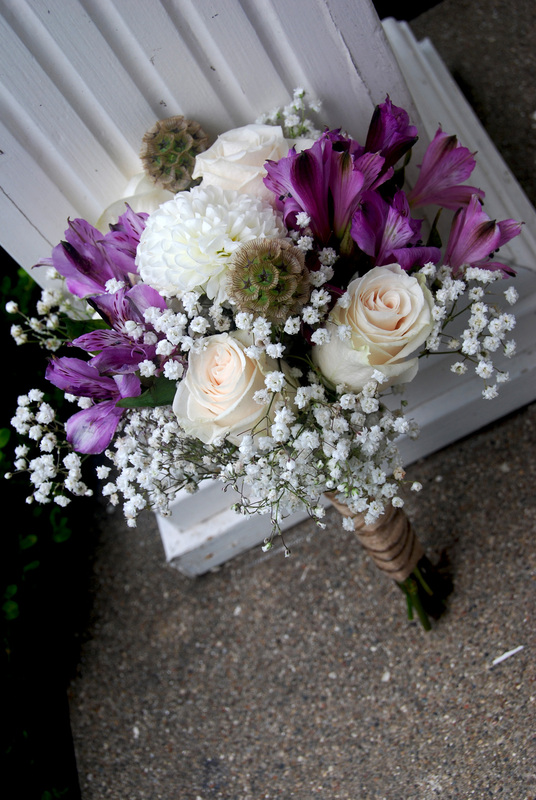 We also added brown cymbids to only Brittany's bouquet and Adam's boutonniere for an extra special touch. 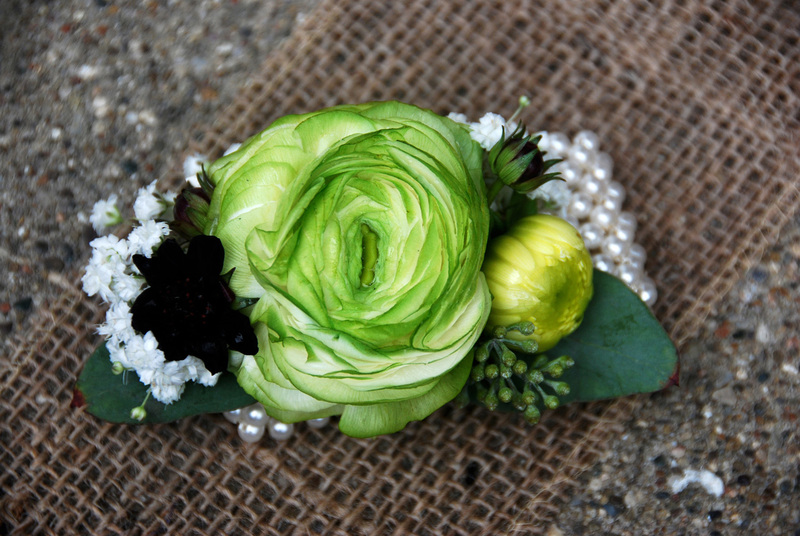 And finally, her baby's bonnett was wrapped around the stems of her flowers. 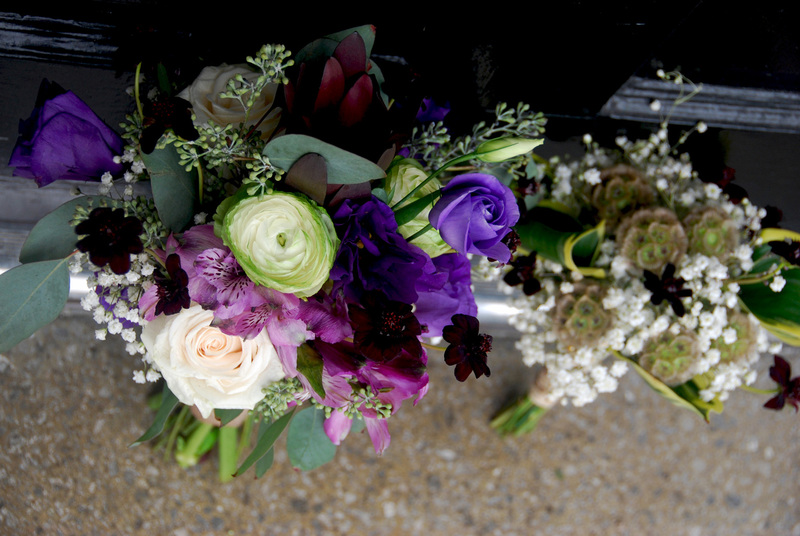 The girls had bouquets full of safari sunset, alstromeria, brunia, roses, lisianthus, textured seeds, and my absolute favorite, chocolate cosmos. 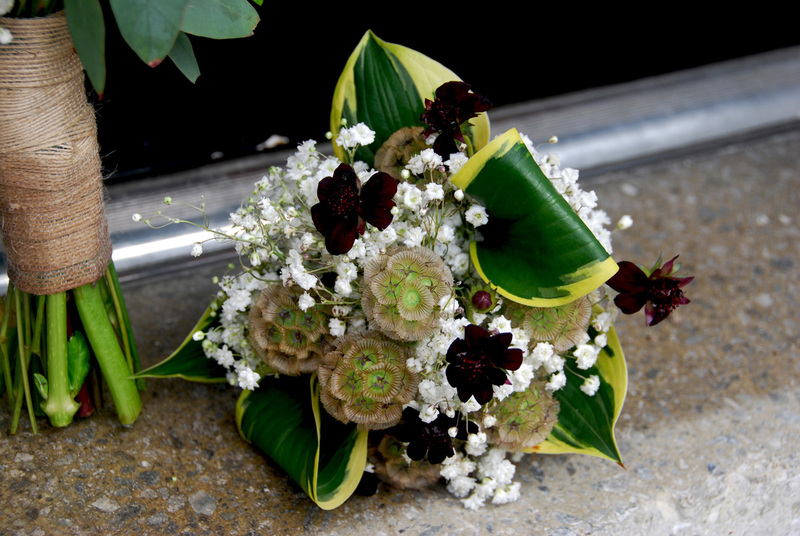 These tiny chocolate / burgundy flowers added such a charm to the bouquets. 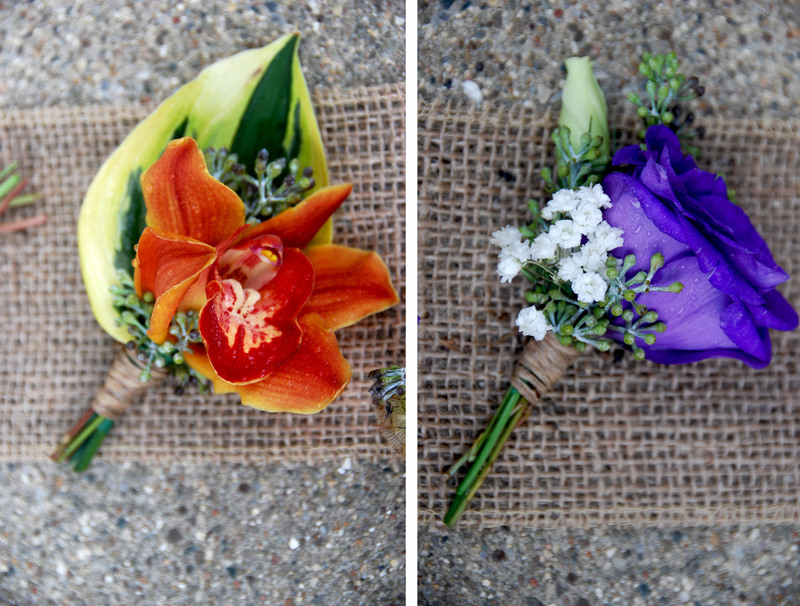 They were also added to the grooms boutonnieres. 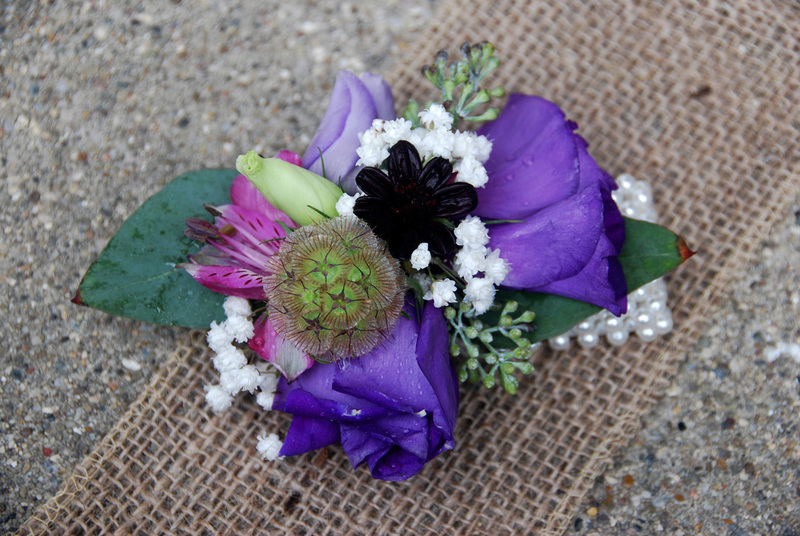 Loved making the corsages because we whipped out a new design. 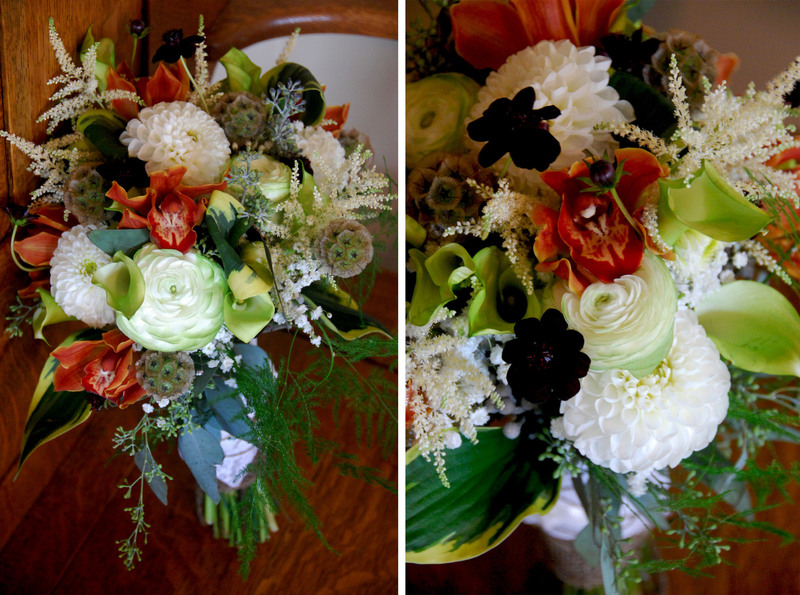 For one of the two styles, we used a single large ranunculus head and surrounded it with tiny, detailed flowers. It was well received! Lately we have been trying to focus more on filling our designs with extra details, and pushing the envelope with new ideas. The ceremony was at the historic Bell House in Lexington. Brittany had rented beautiful wooden chairs for this outdoor celebration. 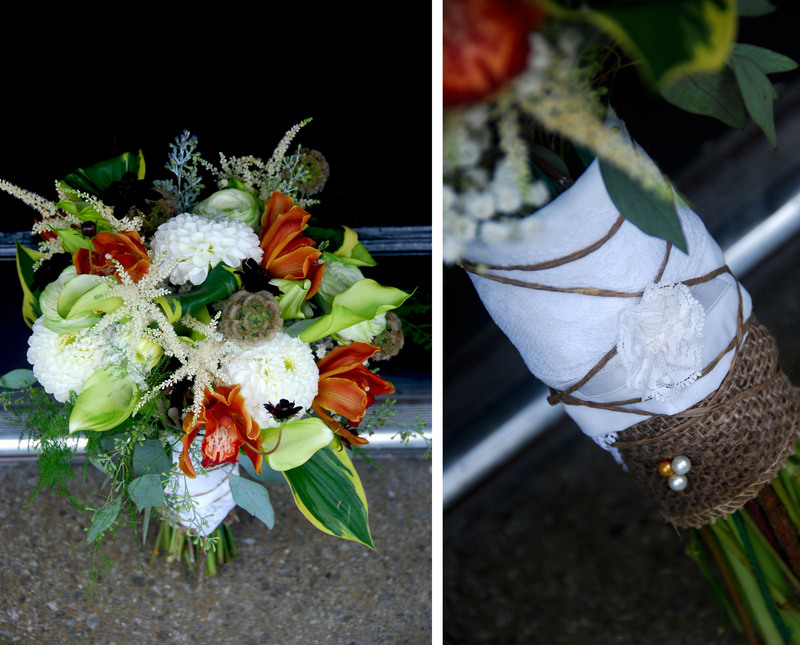 For a simple, but successful touch, we tied baby's breath bouquets with burlap ribbon to the chairs along the aisle. It was so pretty.